I always seem to have bananas sitting on the counter waiting for some love. Whenever it gets down to just a few, it never fails, they just sit there. Please tell me I am not the only one that happens to. So instead of throwing them out, I usually transform them into something to enjoy in a different way. Whether it is in a bread, muffin, cake, or just chopped up and frozen for smoothies, there are so many possibilities. 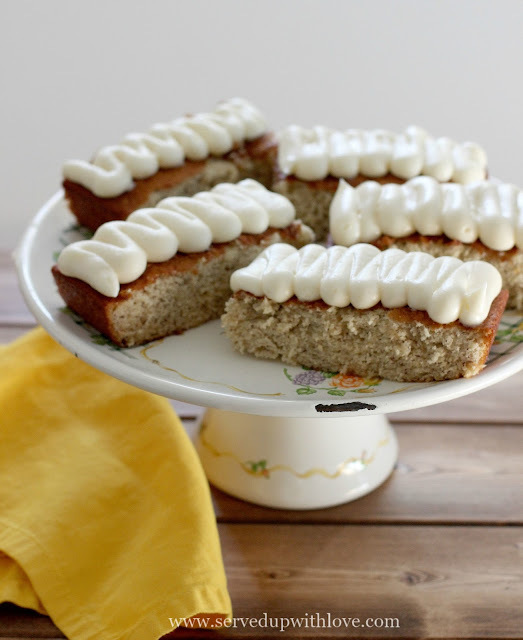 The cream cheese icing on these Frosted Banana Bars make these absolutely delicious. No need to let those bananas go to waste! In a large bowl, cream butter and sugar with an electric mixer. Beat in eggs, bananas, and vanilla. In a separate bowl, combine flour and baking soda and then add to the creamed mixture and mix well. Pour into a greased jelly roll pan. Bake at 350 degrees for about 20 minutes. 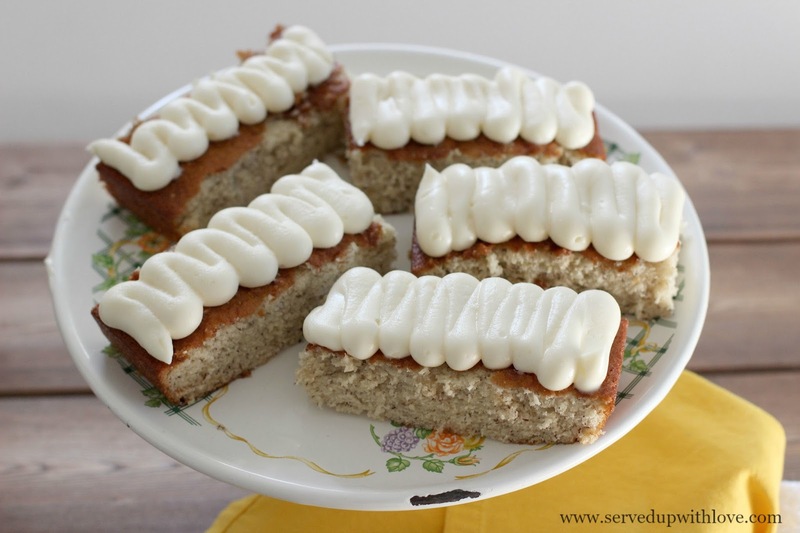 Cool and frost with cream cheese icing.